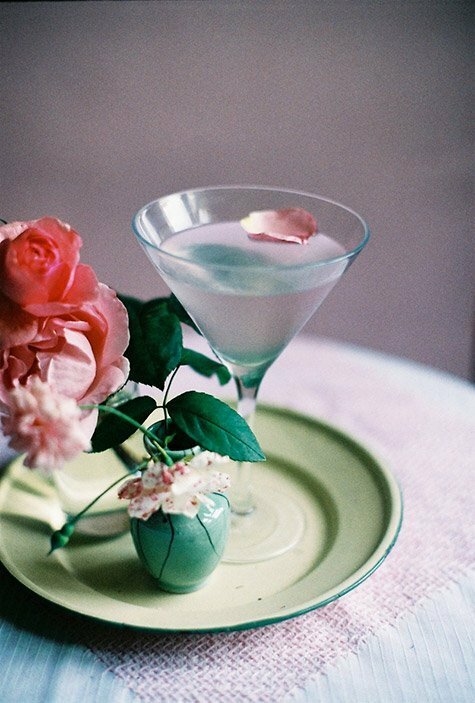 Roses are red, violets are blue, and a rose colored martini is the perfect summer cocktail for me and you! Add the vodka, crème de cacao, rose water, and food color. It's beautiful, delicious, and we cannot get enough! Before you go crazy and dive right in, allow us to share a couple additional helpful tips so you don't go on a wild goose chase for ingredients. We wouldn't want you to be unable to track something down, completely freak out, and end up not making this dreaminess! White crème de cacao can also be found at most liquor stores, and there are numerous brands to choose from including Potter's, Hiram Walker,DeKuype®, and Jacquin's. Rose water can be found at your local Whole Foods or specialty market; and is also available at most liquor stores. And if you are feeling particularly crafty, you can also make your own. 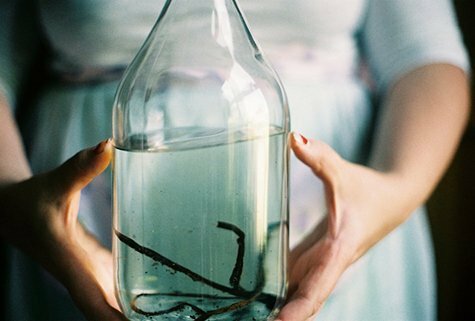 Pour plain vodka into a glass, lidded bottle (or go ahead and use the bottle it came in); add 1 vanilla bean and the peel from one lime. Close the bottle and let infuse anywhere from a few days 7-10 days, storing in a cool dark place. 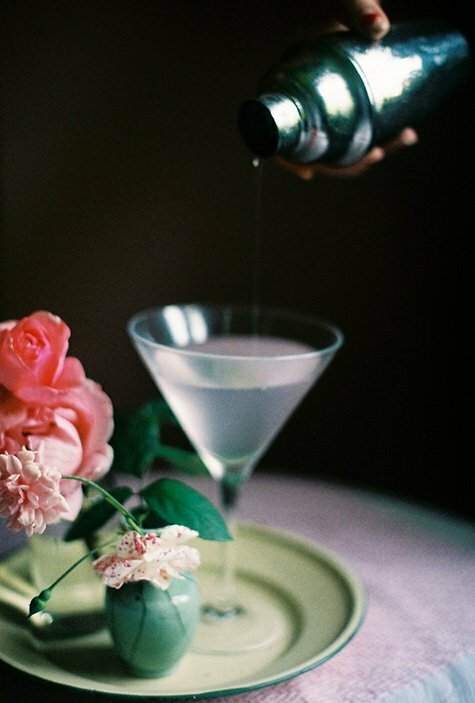 Gently shake every other day in order to ensure the flavors disperse in the alcohol. OK, friends, NOW you're ready! 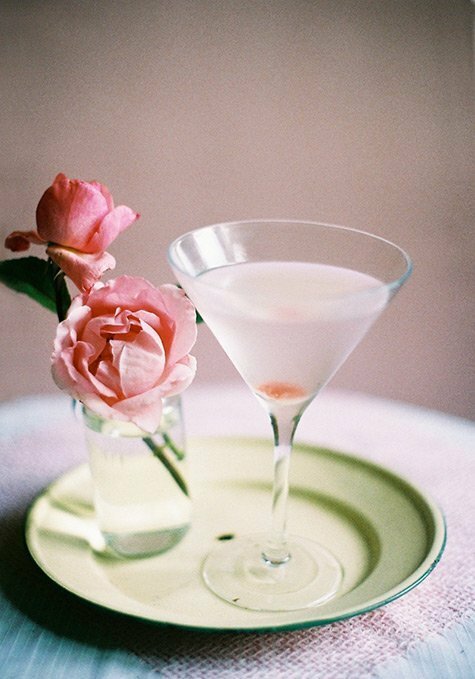 Go ahead and kick off the weekend with a rosy martini. You're gonna love it. You're just simply gonna love it! Thanks so much again to the amazing Jacinta Moore for the recipe and gorgeous photos, and to Design Sponge for publishing it all in the first place. 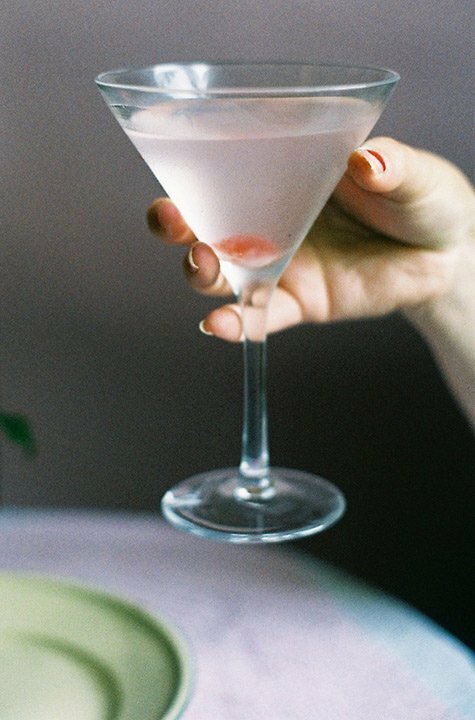 If you've missed our Summer Botanical Cocktail series until now, go ahead and catch up with our previous posts with recipes for Lemon Jello Shots, Rosé Slushies, Lavender Martinis, and Bellini Popsicles. Happy summer-ing! 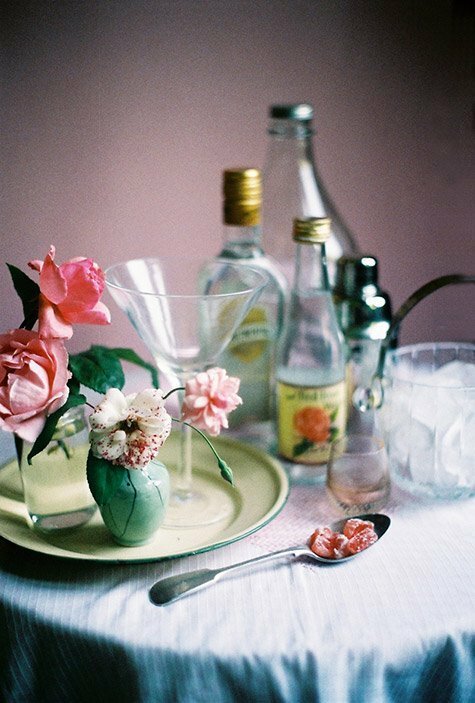 *Jacinta Moore is a freelance photographer and stylist based in Melbourne, Australia. She is also a gardener, a baker, a blogger and a student. She recently returned from six months of studying and traveling in Europe. We heart her.